In warmer climates open-plan living is considered the norm. But you no longer need to travel to Australia or the USA to experience this stylish way of living. 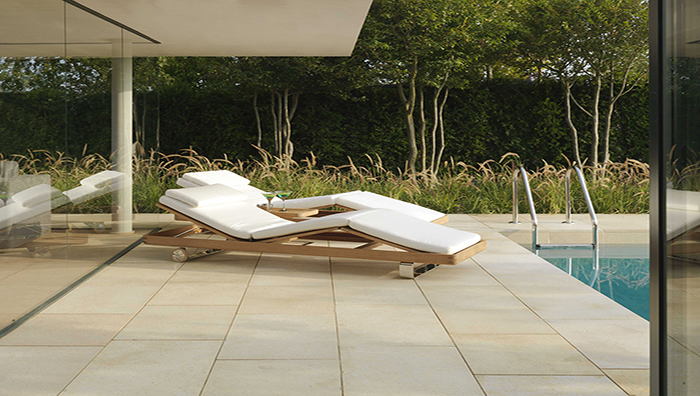 Vitrified paving from Stonemarket creates the open-plan living look right here in the UK. 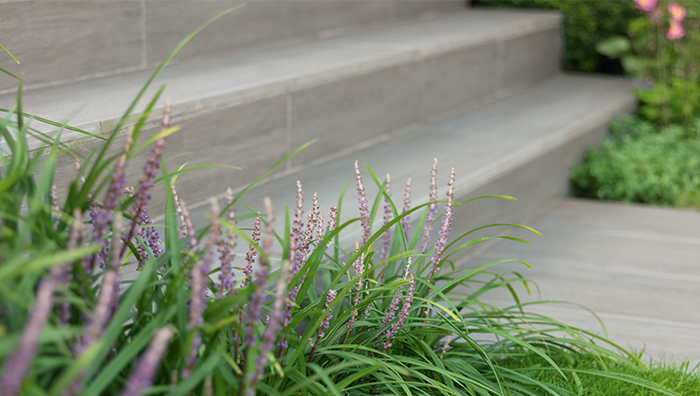 This fashionable and highly-durable product is a first for Stonemarket, and is perfect for co-ordinating inside flooring with the landscaped area, allowing a seamless transition from inside living space into the garden. Vitrified is a robust and versatile paving material, available in a range of colours, textures and plan sizes, offering opportunities for individual design. The Paleo range combines superb technical performance with subtle colour tones and textures, available in three contemporary colours and a variety of formats. For classic appeal, the Lucent collection has a gently riven texture and is available in three attractive colours; copper, with russet and gold tones over a blue grey background, Cotswold, displaying classic buff tones and Blue, which offers a look which has been popular in Britain for many years. The Gravity range has plenty of urban cool and is perfect for contemporary schemes. The Knotwood range introduces a new design texture and added interest to indoor outdoor projects. These products perfectly recreate the colours and texture of wood planks, but being vitrified, has none of the technical issues of wood and won’t rot or warp. Vitrified is an ideal choice for outdoor pool areas as it absorbs little or no moisture helping to minimise moss and algae growth.